#USA Just One Thing: Should you experiment with Crowd Funding? You want to propose your startup to be presented on our website ? Contact us as soon as possible ! Offers : Promote your startup ! For more details, please check our offers . And to receive all the latest news of startups, entrepreneurs, smallbiz and entrepreneurship, join Entrepreneurship – Startup365 on Facebook (Startup 365) , on Twitter (Startup365) , on Linkedin (Startup365.fr) and on Google +1 (Startups) ! Thanks ! To receive weekly news about Startups and entrepreneurship, please subscribe to our Newsletter ! 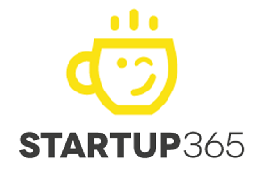 Startup 365 is an independent website presenting information and news about entrepreneurs, List Startups , entrepreneurship, smallbiz, business, etc… Please do not hesitate to contact us if you any questions regarding our website. Thanks ! List Startups China – Startup 365 – Startups news from all around the world !